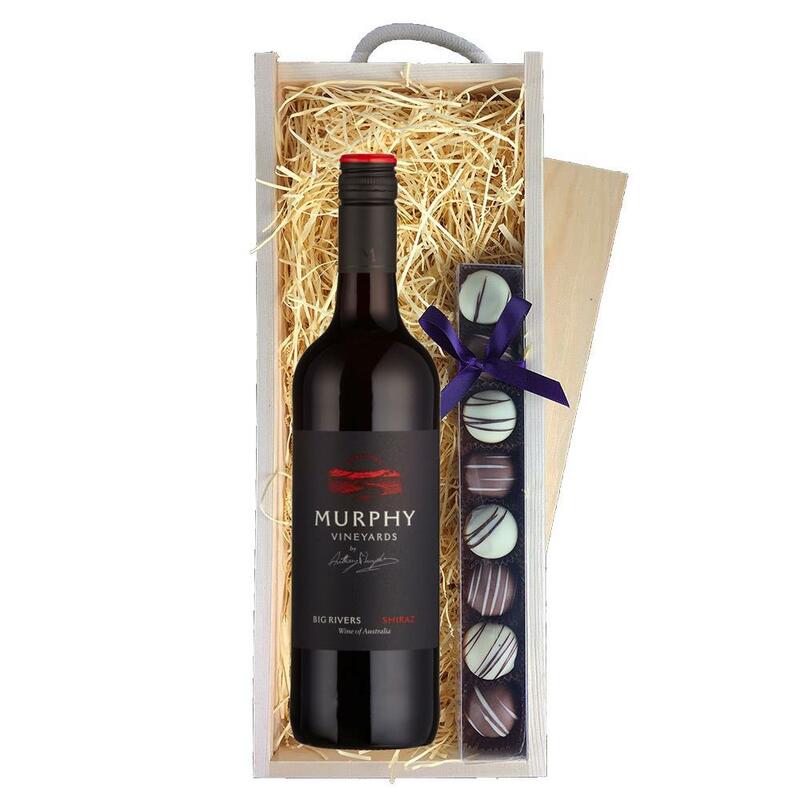 A single bottle of Murphy Vineyards Big River Shiraz 70cl and a single strip of fine Hand Made Heart Truffles (110g) Presented in a wooden gift box with sliding lid and lined with wood wool with a Gift Card for your personal message. Murphy Vineyards Big River Shiraz Australia, An almost unbelievably smooth and drinkable Aussie Shiraz. Spicy, fruit forward and concentrated - just like you want it. An absolute gem. This product is hand packed onsite by Bottled and Boxed, and is not affiliated with any other brand. Bottled and Boxed is responsible for this product combination/set.